This software is written and released by the French company Arobas Music in 2006. 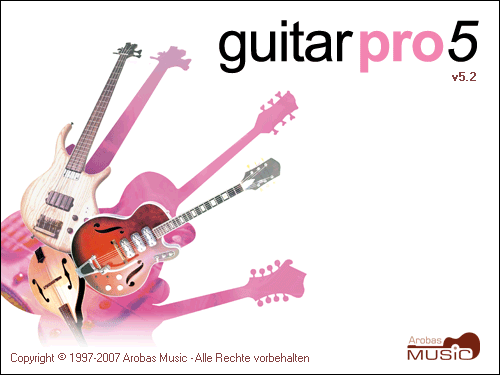 Guitar Pro is a powerful musical editor offering all of the functionalities and a user-friendly interface. Besides its regular functionalities it offers many other useful features. Let’s take a look at an example with the finished tablatures. To play musical parts are used the buttons that are on the bar above the music sheet. For your optimal ease and comfort, you can move a group of buttons adjusting the appearance of the interface panel. In addition, here are two essential tool buttons, such as the metronome button and countdown button. They greatly will increase your exercise effectiveness, helping you to play rhythmically. These items could be included in the menu tab sections such as "Sound" and "View". Now let's deal with the design and editing of our own scores. Let’s create a new file and name it. If we need more than one track (musical instrument) then we create as many as we need to. Using a track menu or a control panel, you can manage all the tracks (below a music sheet). All notes could be adjusted by the note menu or the buttons on the control panel. This picture shows the editing options that can easily make a new music sheet or the tabs just the way you like it. Guitar Pro allows you to add to your score all of the usual musical symbols and effects such as tremolo, vibrato, slides, etc. Complete list of these effects can be seen in the Effects Menu. Finally, using the tempo menu you can edit a size, chords, set reprises etc. Let's take a look at some other Guitar Pro 5 functionalities. Besides its regular functionalities as a musical editor, the software has many other options that let you use them while playing exercises and analyzing of theoretical material. First, it is a tuner that makes tuning process of a guitar easier. Next, it is the metronome that helps to improve a rhythmic pattern when learning songs. Also, there is a constructor for scales that is handy when learning the theory of music (it is a very useful feature, as it allows you to see the graphic scale indicating the intervals between the steps, and then also listen to its sound). For your convenience, you can also enable the guitar fretboard or keyboard, where will be displayed the notes that you play. This will also help you to learn faster the scales. The tuner and scales are included in the tool tab. The metronome is in the sound tab. Also, you can find there one more useful thing that is a speed trainer. The speed trainer will then let you play any section of the score in loops with progressive accelerations. This is very useful to practice a solo or a complex guitar riff. View menu and option menu allow you to change the software appearance, the type of displayed music sheets, sound settings, and some other details. 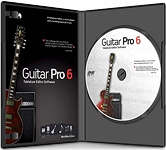 Guitar Pro 5 amazing features make this software easier to use, more efficient, and incredibly convenient.